I hate to exercise. It's tolerable if I have some entertainment, but then I have a hard time keeping track of my reps. I could use a mechanical tally keeper, but I prefer this app, which can keep track of reps while playing games or watching youtube. It floats on top in a little bubble off to the side and I can move it if it somehow gets in the way. Its the little orange thing in the upper corner of the screen shot. Download Floating Rep Counter from google play store.. Evidence suggests that too much light before bed disrupts your circadian rythrms. Some people believe that blue light in particular is the cause but I think the case for that is shaky, and that it makes more sense by far to cut down on all wavelengths. Now hold on, you say, my phone comes with a brightness slider already. True. But I've found that in absolute darkness I can't get my phones dark enough with built in controls. 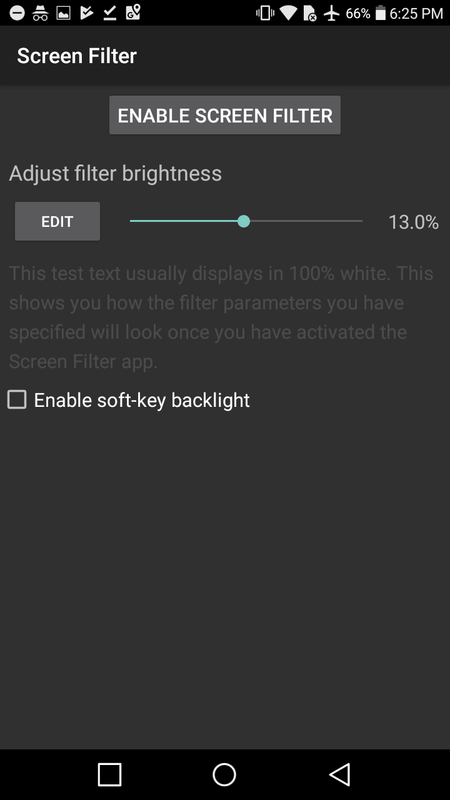 Enter Screen Filter, a free app that can make your screen dark. I mean really, really dark. You'll very quickly realize why your built-in brightness slider isn't doing enough: they are protecting you from yourself. In a bright room you can easily set the screen so dark you can't see anything. Including how to make it brighter again. Luckily they take a page from a bygon era of PCs, and automatically restore the screen to normal unless you confirm your setting within 10 seconds. This app is free, has no ads, and works really well. I strongly recommend it for night time use. You might also be tempted to hope you could save battery life by turning down the brightness this way, but that's going to be hit or miss. If you have an OLED display that will probably work. 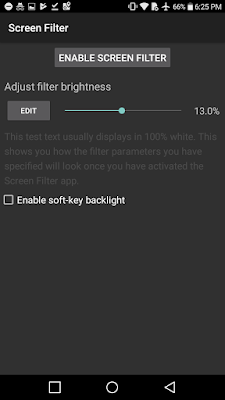 If your display has a backlight, however, your battery probably won't benefit. This program works by inserting itself into the display pipeline, decreasing the pixel values just before rendering them to the LCD. Power consumption depends on the backlight, not pixel values. A side effect is that extreme levels of light reduction reduces the dynamic range of your display. In practice I haven't noticed this much, and even if it were worse it's a small price to pay for better sleep. Most phones have a countdown timer and stopwatch app built into the clock app, but this one is really an improvement if you need to keep track of multiple things. In my case I used it when I broke my leg to keep track of how long it had been since I took "as needed' pills and also to remind me of those that had to be taken on a fixed schedule. 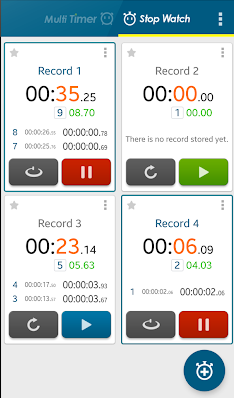 Here it shows just 4 stopwatches, but it supports an unlimited number (as well as countdown timers), and you can give each a descriptive name. It does have ads, but almost all of the time it's just a small banner across the top. There is an add-free version, but the dev wants $4 which seems a bit much. This strategy game is very simple and easy to learn, but satisfyingly challenging. It's a bit like chess in that there is no randomness. Stronger units always defeat weaker ones, but cost more to build and maintain. 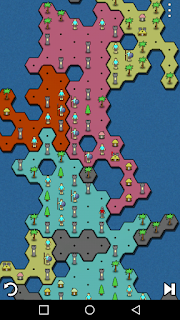 It's elegant in its simplicity: combining economy, fighting units, and defensive buildings, all distilled to their most simple form. The AI is decent but not great. The challenge comes from each new map increasing the odds against you. 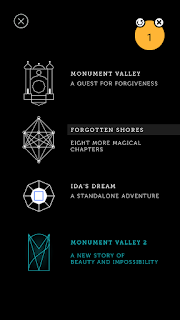 My criticism is that the challenge doesn't really increase very regularly - once every 10 maps or so it's really, really hard, followed almost immediately by a map so easy it's boring. The other problem is that after a while it all gets a bit repetitive, since it's always the same rules and units, just different maps. That said I've played over half of the 100 maps and it still draws me back in. Did I mention it's free and has zero ads? I was a huge fan of advance wars on the gba. 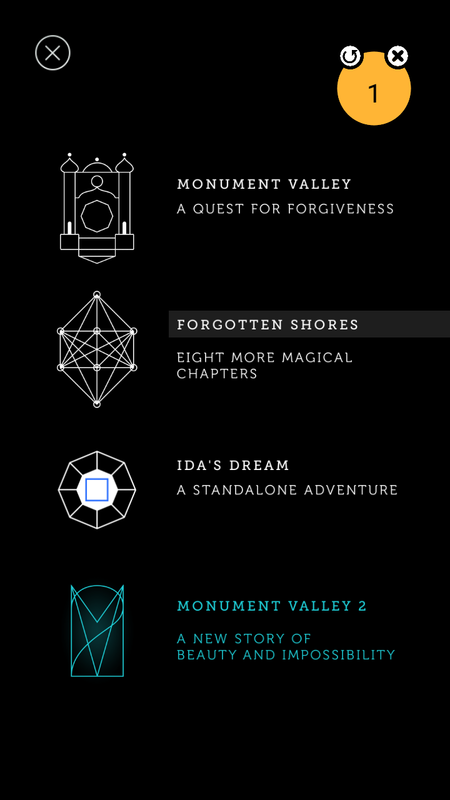 There aren't many games like that on Android, but this one scratches the same itch despite being almost entirely different.